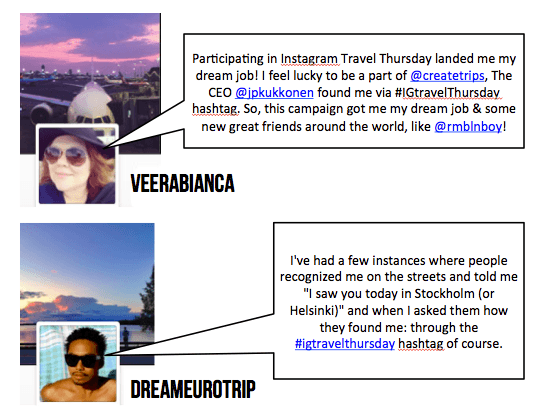 What is Instagram Travel Thursday? Instagram Travel Thursday is a weekly project with a mission to unite travelers, travel bloggers and other travel industry professionals and destinations on Instagram. 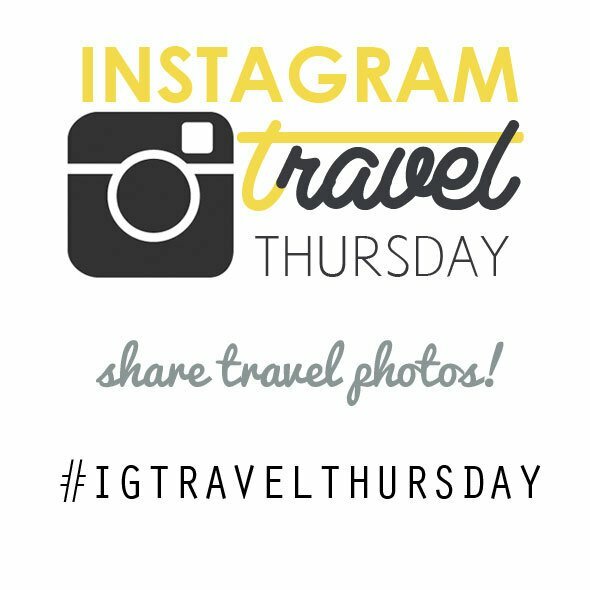 We welcome anyone to post travel photos with #IGTravelThursday hashtag and to answer travel questions and give travel inspiration for others. 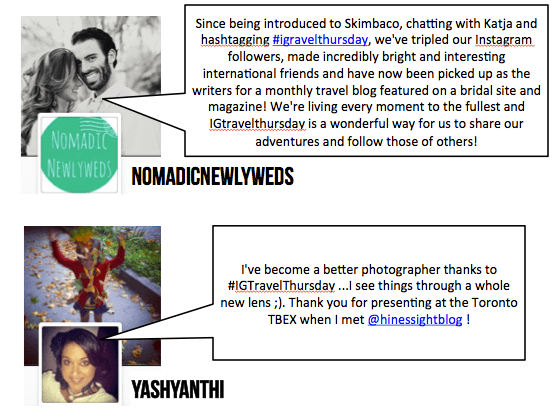 In addition we host a monthly #IGTravelThursday blog post roundup, also known as “linky”. Bloggers can link up a new Instagram Travel post each week to a weekly link collection widget. 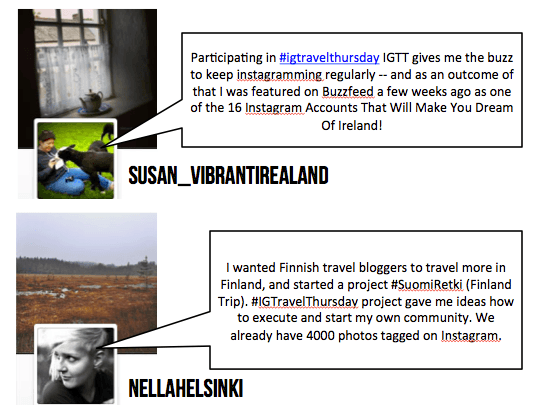 How to participate to the IGTravelThursday blog project? 1. Write a blog post about a topic of “Instagram travel” – anything where travel and Instagram intersect, more ideas below. 2. Link back to Instagram Travel Thursday page in your post. 3. Come to SkimbacoLifestyle.com and add your blog post link to the link collection widget, aka linky, every first Thursday of each month. You can of course write your post at any time, and just find the latest IGTT post where to link up. 4. In addition you can also host the link collection widget in your blog post each month. Notice: there will be new widget code each month. The Instagram Travel Thursday linky is posted on the first Thursdays each month. You will get the new code in each Thursday’s fresh post at SkimbacoLifestyle.com or by email when you subscribe the reminder email. – Link to a new Instagram travel post and use the permalink of your post, not the homepage URL. – Only new posts from the week of the linky and no giveaways, other linkys or sales pitch posts. – Don’t add links to your Instagram profile in the linky, only links to your blog. – Link back to one of the Instagram Travel Thursday hosts. – Visit a few other posts in the linky and show them some love (comment, tweet, Pin etc.). – Links that do not follow the guidelines will be removed. Each month the top posts will be featured at the Instagram Travel Pinterest board and in the Instagram Travel Thursday newsletter, and the following week at Skimbaco Lifestyle. The newsletter will remind you each week when the linky is up, you can subscribe to the email reminder here. What to write about? Need inspiration? – Post has to be about “Instagram travel” topic. It can be a travel story with only Instagram photos, or Instagram-related information, that would interest travelers. – Write a travel story post with non-Instagram photos. – Write a giveaway post or try to sell anything. – Write a generic travel/informational post with no connection to Instagram, even if it has Instagram-photos. – Weekly recap post of your travel Instagram photos. Local travel from your local area works. – Repost your old Instagram photos from a previous trip to give old photos new attention. – Feature Instagram account(s) that post great travel photos. – Interview other Instagram travelers about their Instagram photos and traveling. – Destination via Instagram photos or destination related Instagram accounts to follow. – Write about Instagram or Instagram-photography related news, apps or products that might interest travelers. Got more ideas? Show us by participating to the linky. Notice: it is not required to post the same photos on Instagram that week as what your blog post is about. 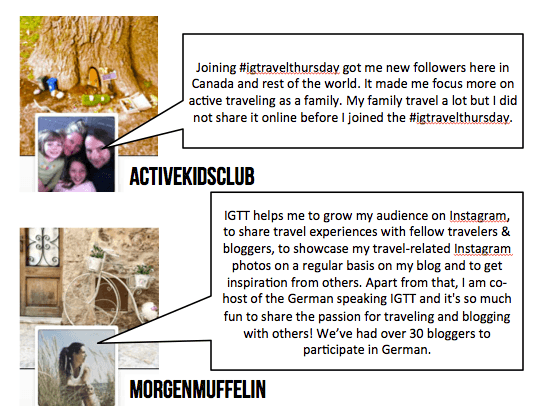 You can participate on Instagram by using #IGtravelthursday hashtag. If you are not a blogger, you can still join us! You can Instagram your photos with the #igtravelthursday hashtag and share your travel photos with us. You can also share the above image on Instagram or repost the image from Skimbacotravel account via Statigram here. Just log in to Statigram and click the Repost button on the bottom the the image.